Today's multi-party video conferencing and video chat applications demand more than just Peer-to-Peer capabilities. Adding a LiveSwitch SFU-server provides the scalability and transcoding you need to support more participants in your conference. 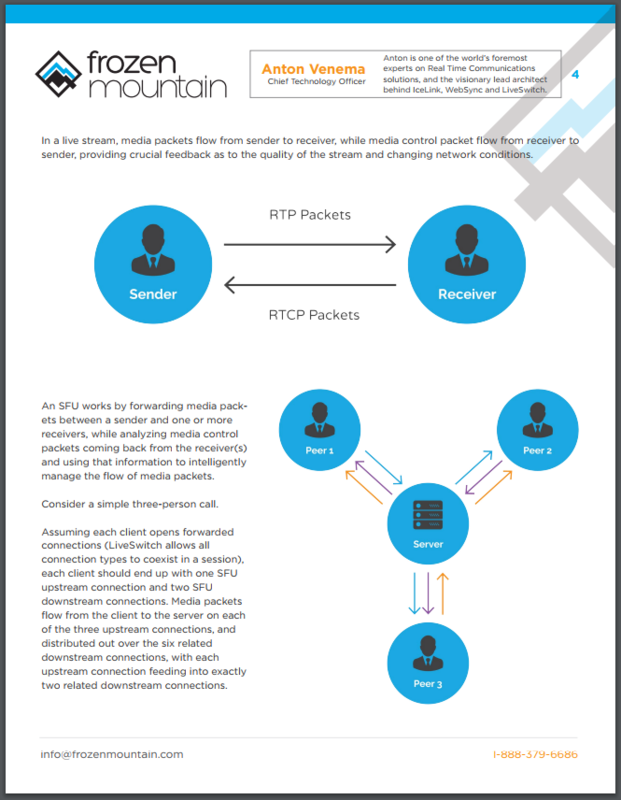 Read more about adding WebRTC-based Selective Forwarding to your application - Download our white paper today.